There’s no denying the fact that play is an important part of our dogs day. It helps keep them fit, it relieves stress, and it strengthens their bond with us. But play is also a great way for them to learn new skills such as better manners. 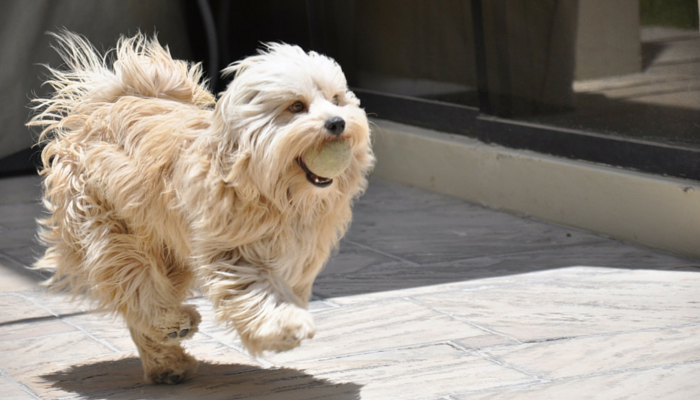 Here’s 5 valuable skills you can teach your dog through play. Have you ever met a dog that had really bad manners? One that jumps up on people, runs out the door as soon as it’s opened, and is extra pushy? That’s a great example of a dog with no impulse control. Just like humans dogs have to learn to control their impulses, and we’re the ones responsible for teaching them. Play is a great way to reinforce some basic impulse control, and it helps give your dog some decent manners. One game that’s great for teaching your dog better manners is tug of war. Tug can get some dogs really excited, and it’s not uncommon for dogs (especially young ones) to accidentally touch their teeth to your hand. So when playing tug follow the rule that if your dogs teeth touch your hand the game it stops. An extra fun tip for the next time you play tug: let your dog win sometimes. It will not make them more aggressive or dominant. Letting them win makes the game for engaging and fun, and it makes you a super fun tug partner. Puppies are extra mouthy when it comes to everything, including a game of tug. And the excitement that tug creates may make it difficult for puppies to focus on anything other than ‘must bite the moving thing.’ If you’re struggling to keep your puppy from biting during tug you should work on increasing their bite inhibition first. 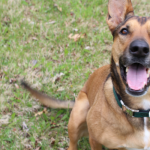 There’s no denying that play is fun, but it’s also one of the best ways to teach your dog good manners. Does your dog have a reliable “drop it” or “leave it?” One of the worst ways to find out is by having them pick up some random nasty thing off the street, so it’s a nice skill to have in place before that happens. One of the easiest ways to teach a reliable “drop it” is by playing fetch. Dogs don’t necessarily play fetch by the rules naturally – some chase after a ball and then run around like a madman when you ask for it back. When that happens you can teach them that the game only continues when they bring the ball back and drop it for you. After your dog retrieves the ball call them back to you. Once they’re within reach tell them to “drop it.” When they drop it praise them like crazy and continue the game. If they refuse to drop it the game stops. They’ll start to realize that the game stops when they don’t give the ball back, and if they want to keep playing they’ll have to follow your rules. Don’t chase after them, as that will just turn it into a fun game of ‘haha can’t catch me’ for them. The game continues as long as they learn to drop the ball for you. If you keep up the praise when they bring the ball back and keep it exciting that should be enough incentive to keep them playing by the rules. 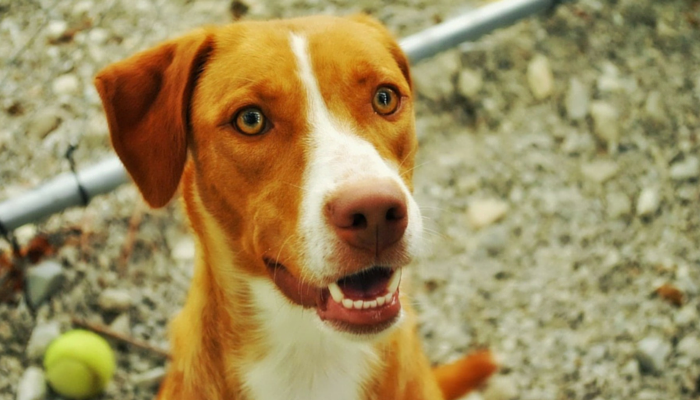 For some dogs (like Laika…ahem) “drop it” isn’t an easy thing to teach. Praise wasn’t always enough for Laika, so I started playing fetch with two toys. Playing with that extra toy in my hand as she came back after retrieving was enough to keep her excited enough to willingly trade. I still said “drop it” every time, and she eventually started to drop it before I even asked. 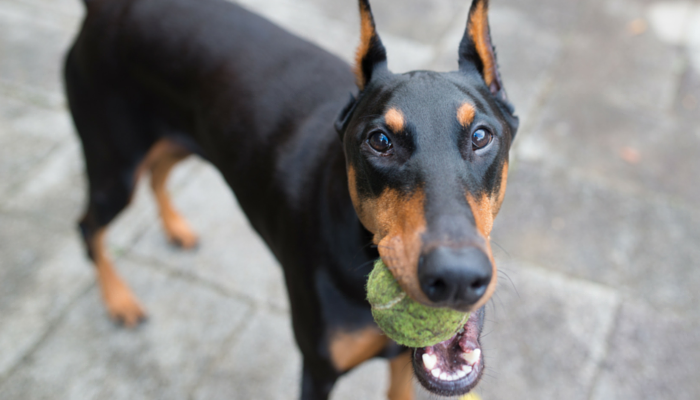 When you play fetch with your dog you can also help reinforce their recall command. Keep it fun and exciting, and remember to always keep it positive when your dog comes back to you. If you scold your dog after they come back to you they may be a lot less likely to want to come back the next time. 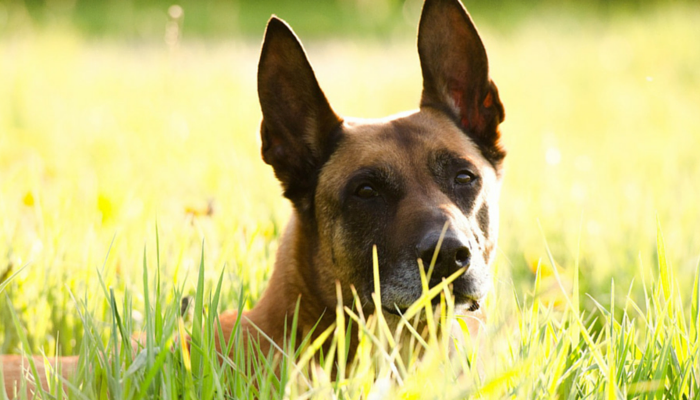 Even though our dogs have amazing noses they don’t rely on scent cues all the time. Like us they get used to relying on visual cues during their daily routine. To help them hone in on their natural scent abilities you can teach your dog some basic nose work games. One of the easiest ways to start is the three cup game. Grab 3 cups (or containers) and some treats. Place the 3 cups in front of your dog and put a treat under one of them. It’s OK if your dog watches for awhile, it can take a little bit for them to catch on to what you’re asking of them. Tell them to “find it” and praise them like crazy when they point or signal to the cup with the treat under it. As they start to understand the objective you can make it more challenging by moving the cups around after you place the treat. This game is also good for teaching manners, since it’s much easier to play if you teach your dog to paw or signal gently at the cup rather than grab it with their mouth or knock it over. 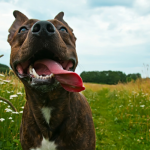 You can help your dog hone in on their natural scent abilities with some simple nose work games. We’ve all heard the saying that a tired dog is a good dog, and while it’s mostly true it doesn’t take into account how exhausting mental exercise can be. 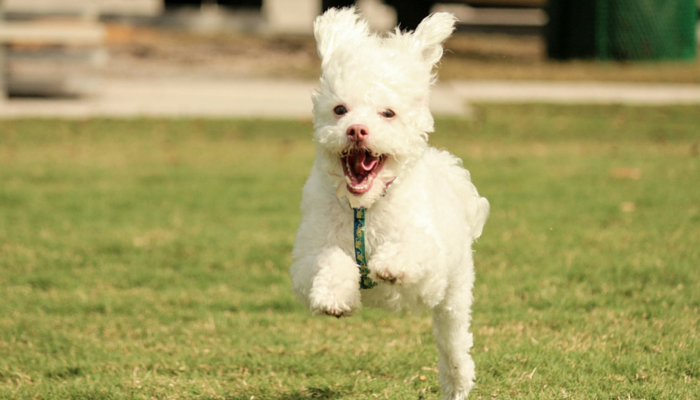 Physical activity alone isn’t enough for all dogs. Adding in some mental stimulation can really tire a dog out. Laika is much calmer and relaxed after a training session or playing with a puzzle than she is after a 2 mile walk. Every dog has a different activity level, but all dogs can benefit from adding in some mental exercise to their daily routine. If you’re not sure where to start here’s a list of 10 easy ways to give your dog more mental stimulation. If you’re interested in buying a puzzle for your dog I suggest you gauge their interest first by making a simple puzzle for your dog with a muffin tin, tennis balls, and treats. To play all you have to do is place some treats in the tin and place the tennis balls on top. If your dog enjoys it they’ll probably love all those fancy puzzles you can buy at the store. If not I wouldn’t bother. I’ve bought plenty of puzzles but they don’t seem to do much, at least not for Laika. She gets the treats out of them in about 3 seconds and that’s that. Game over. I’ve had more luck with treat dispensing toys, since they keep Laika busier for longer, and they’re a nice way to slow down her eating. I love the Kong Wobbler since it keeps Laika busy for longer, slows down her eating, and makes her use her problem solving skills to get the food out. Another simple way to work on some problem solving skills for your dog is by playing “find the treats.” My favorite treat to use is chopped carrots, though you can use whatever healthy option you have on hand. I’ll have Laika wait in another room as I hide carrots throughout the house, making sure to place them in some non-obvious spots such as under rugs and on chairs. Once I tell her to “find the treats” she’s off and running around like crazy. I don’t know why but she does not get sick of this game…ever. It’s a really simple way for dogs to hone in on their scent skills and solve problems. And in this case by solving problems I mean figuring out that there’s carrots hidden under my rug. 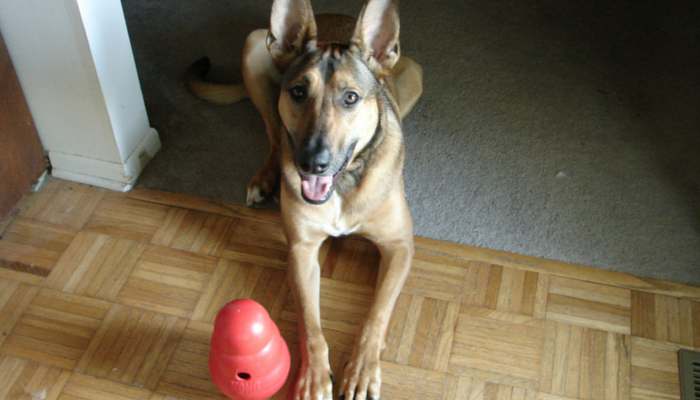 Using a treat dispensing toy like the Kong Wobbler helps sharpen your dogs problem solving skills. 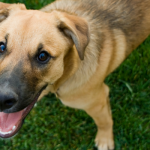 When you play with your dog using positive reinforcement you’re giving them direction. They rely on us to teach them what to do, and play is one of the easiest ways to do it. 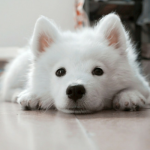 Dogs that know what’s expected of them and those that have a routine tend to thrive. We often focus on what our dog’s shouldn’t be doing, rather than providing them with alternatives. You can take out the guess work of ‘what should I be doing’ for them by providing them with fun activities through out the day and giving them a routine. When you play with your dog you’re teaching them various skills and introducing them to new cues and objects. By keeping it positive they’ll be gaining confidence when it comes to facing new situations and objects. Just keep in mind that for fearful or shy dogs building confidence takes longer. It’s still possible, and it’s definitely worth it – it just takes a lot of patience and consistency. Each new situation that you create for your dog in a positive way will help them face new ones in the future. By introducing your dog to new situations during play you can help boost their confidence. 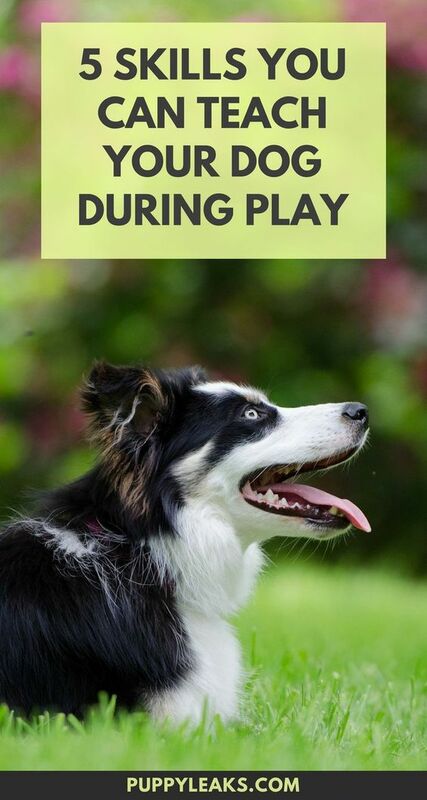 What Has Your Dog Learned Through Play? What skills has your dog learned through play? Does your dog have a good “drop it?” Or does your dog have a tendency to turn a game of fetch into ‘haha you’ll never catch’ me? I try to play with Zoey more to work on her confidence and I see a lot of improvement. Rodrigo and Scout have trouble with Drop It when it comes to their favorite balls. They’re getting a lot better, because they’ve finally connected the fact that I can’t throw it if it’s in their mouth. Archer loves the chase game and we’ve tried having two toys to get him to trade what he has for what we’ve got (this has worked with all my other dogs). However, Archer always seems to think that he has the best thing on the planet and doesn’t like to make the exchange. I love using mental stimulation to tire out my dogs. A good session of training seems to wear down my pups better than a long walk. By the way, I just saw you linked to our Kong Wobbler video with Stetson! Thanks for sharing! We tend to work on Delilah’s leave it when we are feeding her. It takes a lot of control for her to NOT gobble the food up. Truthfully a lot of the playing has stopped at our house because of Sampson’s injury. Great tips here!